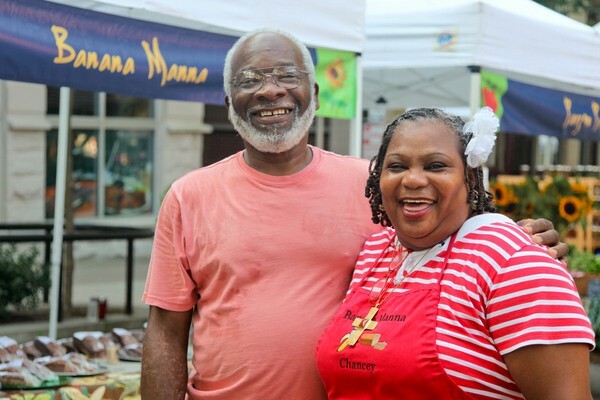 On just about every Saturday from May through October, you can find Chancey and her husband Dennis at their stall under a banner that reads ‘Banana Manna’ in the Greenville, South Carolina farmer’s market. Chancey has been selling her acclaimed banana bread at the market for over 10 years, ever since the family she worked for as a nanny moved away to Texas and she found herself unexpectedly unemployed. Anxious about how she would pay her bills, Chancey had a stroke of inspiration when her neighbor’s young son declared her banana bread the best he had ever tasted. She started out selling 3 or 4 varieties of banana bread exclusively at the Saturday market, with the help of a small loan. Then in 2012, a $2,000 loan crowdfunded by Kiva Zip lenders helped Chancey realize her dream of owning her own storefront bakery, where she prepares and sells freshly baked quick breads and cakes. This year, she will bring on 2 part-time employees to work at the market stall. "Bread was just flying off the table, spreading by word of mouth,” she said. 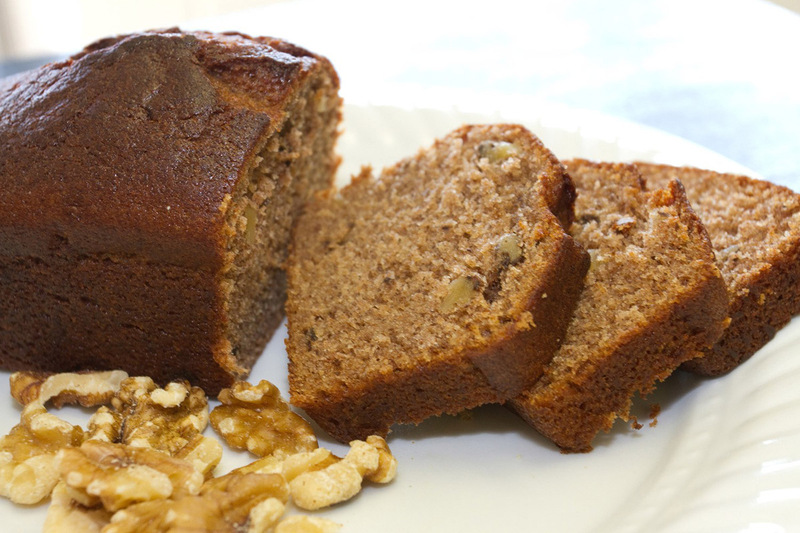 Chancey has since expanded to more than 15 varieties of banana bread, including gluten free, sugar free, and Paleo options. Although she was initially hesitant about the cost of gluten free baking, she started experimenting with new recipes when she learned her niece’s children were gluten intolerant. 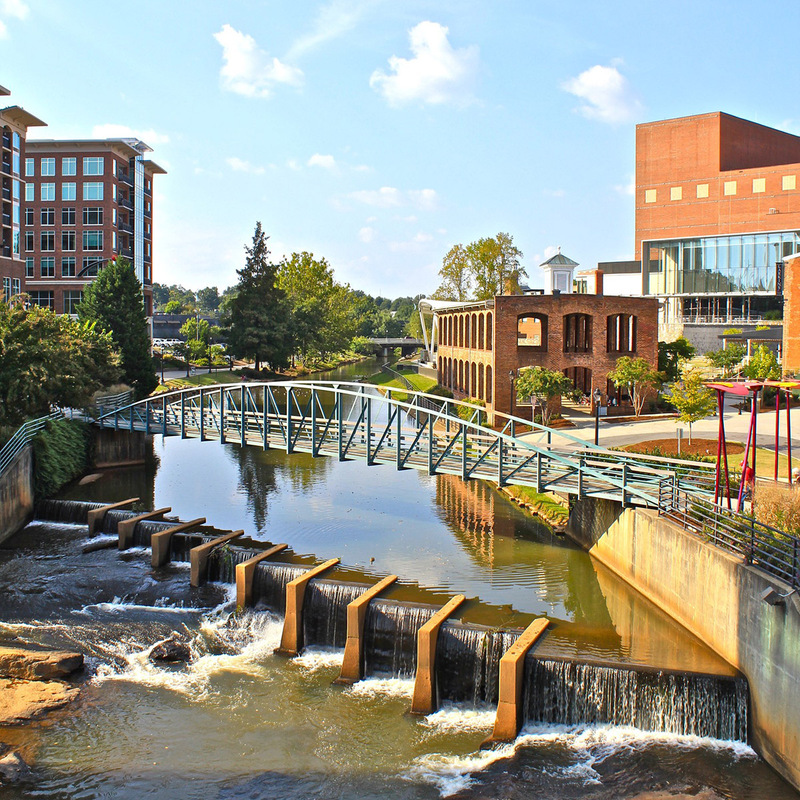 "That opened up a door I wasn’t even aware of, that so many people have gluten issues and lactose issues… Paleo and gluten free are kind of hard to find in Greenville. That’s something I’m proud of, providing healthy products." The business, once born out of necessity, has turned into a source of steady income and pride for Chancey. With the success of both the bakery and the seasonal Saturday market stall, she hopes to increase her online sales and turn the bakery into a cafe. "Hopefully we’ll grow to where you can come, bring your laptop and have a cup of coffee alongside your banana bread." Inspired by her success, people often ask Chancey for advice about starting and growing a business. She always stresses the importance of sufficient capital up front, and above all, confidence in your product. "You’ve got to hang in there and believe in your product, even when you can’t quite see it. If you believe, it will always work out." While Chancey is well known in Greenville and beyond for her tasty creations with innovative flavors (the “fully loaded” banana bread contains dried fruit, nuts, and shredded coconut), her warmth and infectious laughter ensure that her customers always come back to Banana Manna. "The bread reminds you of your youth when you would go to your grandmother’s house and she would bake you something from scratch… it gives me joy to give you a little piece of that." And as for the neighbor’s son who first inspired Chancey to sell her banana bread? He’s now in high school, and frequently drops by the bakery for a delicious after-school snack. Make a loan of $25 or more to inspiring borrowers like Chancey today! As a California native, Kate is thrilled to be back in the Bay Area while interning with Kiva's marketing team. After leaving her hometown of Davis, CA, Kate studied for a year in Germany before starting college in Washington state. In 2015, she graduated from Seattle University with a Bachelor of Arts degree in political science and international studies. As an undergraduate, Kate spent several months as a field research intern with GRAVIS, an NGO in India. Her primary responsibility was to conduct an impact assessment of the organization's water security program, which involved dozens of interviews with women in India's Rajasthan Desert. Kate is excited to learn more about nonprofit strategy during her internship with Kiva, and to contribute to its mission of addressing global inequity through financial inclusion.